After fighting for months over control of historic First Presbyterian and its valuable downtown property, the church’s breakaway pastors are gone. 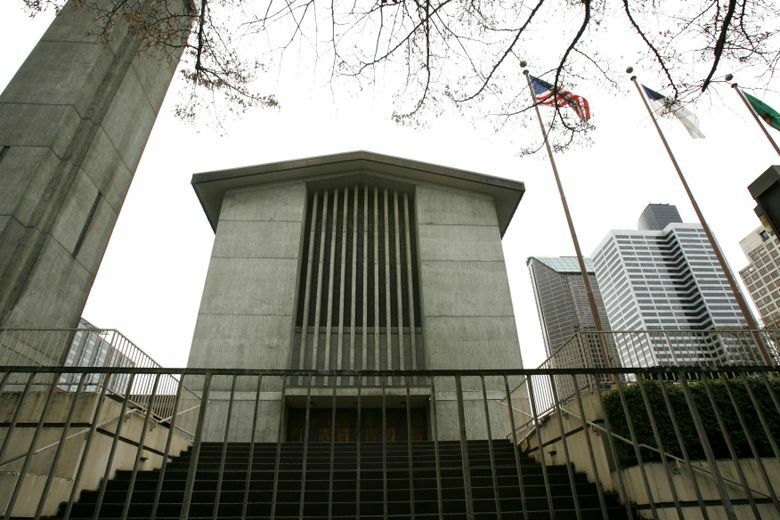 After a months-long fight over control of Seattle First Presbyterian and its valuable downtown property, the historic church is starting a new chapter. Gone are the married co-pastors, Jeff and Ellen Schulz, who led an attempt to separate the church — with its roughly $30 million in assets — from the regional body that long governed it. The Schulzes vacated the premises, which stretches from Seventh to Eighth avenues along Spring Street, after court rulings failed to go their way. The order rebuffed the Schulzes’ view that a vote by the congregation in November to break away from the liberal-leaning denomination meant that the national organization no longer had authority over the church or its property. And the order specified who did have rightful control of the church — not the Schulzes or the church trustees under their leadership but an “administrative commission” established by the Seattle Presbytery, the denomination’s regional body. Yet the Schulzes did not leave immediately, according to Presbytery executive Scott Lumsden. Instead, they asked the state Supreme Court to review the order and to grant a stay pending that review. The Supreme Court is still considering whether to grant a review, but in late July, it denied the request for a stay. The Schulzes were working on a redevelopment plan, which included residential and business space on church property, and they argued that leaving would allow the plan to proceed without their input. In his ruling, however, Supreme Court Deputy Commissioner Walter Burton said the redevelopment plan offered an “even more compelling” reason why the Presbytery needed to protect its interests in the property. Soon after that ruling, the Schulzes left. They now appear to have started a new church. “Since Seattle presbytery took control of our property, our friends at CCC (Central Community Church) have invited us to worship with them for the month of August, while we seek God’s guidance for what is next,” read a recent listing on the Facebook page of the Seattle First Mosaic Church, which lists Jeff Schulz as a contact. Reached by phone, he declined to comment. Still to be resolved in court: the Schulzes’ claim that Lumsden and the Presbytery defamed them with accusations of financial improprieties, including using church funds for repairs on their home, and a “pattern of intimidation and manipulation” among First Presbyterian members. Seattle First Presbyterian, under a new pastor installed by the Presbytery, also has matters to resolve. “The road ahead is not clear,” said Rajat Parsad, a member who grew disaffected under the Schulzes and has recently resumed attending. But some things are likely to fundamentally change, including the existence of the modernist, 8,000-square-foot building that has housed the church and dotted the downtown landscape since 1962. “I emphasize that (redevelopment) contracts have already been signed,” said Lumsden. The Presbytery is reviewing them. But even if there were an out, Parsad speculated, the Presbytery may not be inclined to keep the building because of the expense of maintaining it. “Eventually, that building will come down,” he said.